Thanks to NPD data, publisher Activision has claimed that the relatively unsuccessful DJ Hero was - by pure revenue - the top new IP of 2009 in Europe and the US. Can we file this one under "Wait, what?" - citing sales data from the fairly-trusted NPD group, Activision has apparently called DJ Hero the top-grossing new IP of 2009 in Europe and the United States. By top-grossing, of course, we're talking pure revenues: How much money did this game earn, not how much was left over once you include the expenses involved in its creation. Even given that stipulation (since the development of DJ Hero was almost certainly anything but inexpensive), it's a bizarre claim to make. Yes, NPD data is considered fairly trustworthy, but I just don't see how this is in any way possible. DJ Hero was considered a flop, not even selling 200,000 units in October - well under two other new IPs in October, Brutal Legend and Borderlands. Yes, at $100 DJ Hero cost twice as much as your average new game, but I'd be very surprised if it sold half as many copies as, say, Borderlands' 2 million. This is the sort of thing that it's very unwise for a company to lie on (when hard data can prove it wrong), which makes this claim all the more baffling to understand. The only thing that comes to mind here is that the message got a bit garbled on the way: Activision may be calling DJ Hero its highest-grossing new IP rather than the highest-grossing new IP across the board. That's still a strange idea, but much less difficult to swallow. 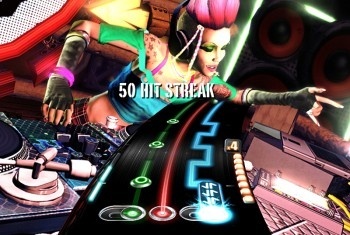 Despite being a financial flop, DJ Hero was well-received by critics (and was actually a ton of fun to play if you gave it a chance, I found), and Activision boss Bobby Kotick expressed commitment to the brand yesterday, saying that we would see a sequel this year.